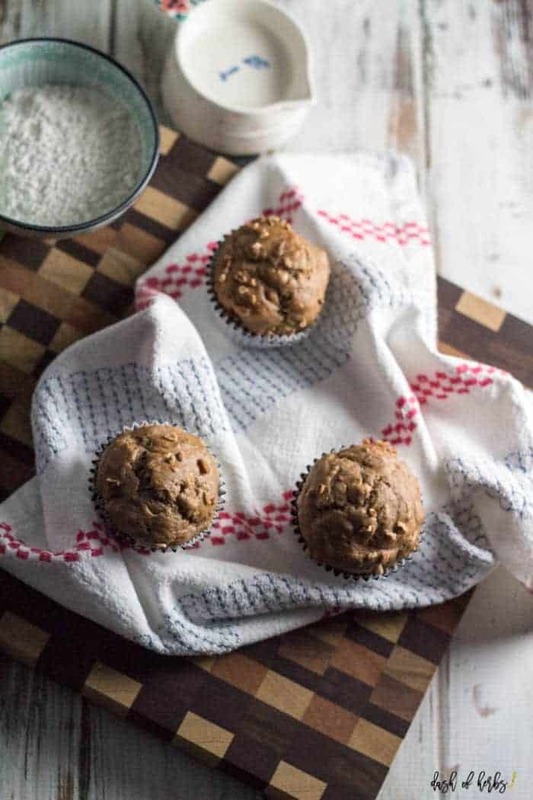 During the chaos of the morning weekday hustle, grab one of these banana nut morning glory muffins on your way out the door. They can be prepared ahead of time for a true grab and go breakfast. Plus, they are healthy and filling enough to keep you full until lunchtime. They are only 4 Freestyle points per muffin on Weight Watchers. As much as I love eggs, sometimes I crave a good muffin. I can’t seem to give up carbs no matter how hard I try (and I really don’t want to, if I’m being honest). Does anyone else have that problem? I have found that as long as I eat things I love within moderation, I can still lose weight (or keep maintaining it). 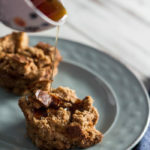 Muffins are too darn tasty and easy to make to not have every once in a while. The carbs are worth it, and at only 4 Freestyle points a muffin, you could have 2 for a very hearty breakfast. I topped mine with a little bit of butter and ate more than I want to admit. 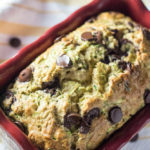 If these don’t appeal to you, try the chocolate chip zucchini muffins instead. They are wonderful as well! 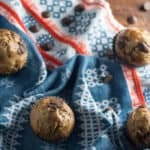 Let’s talk about the ingredients in these amazing muffins. 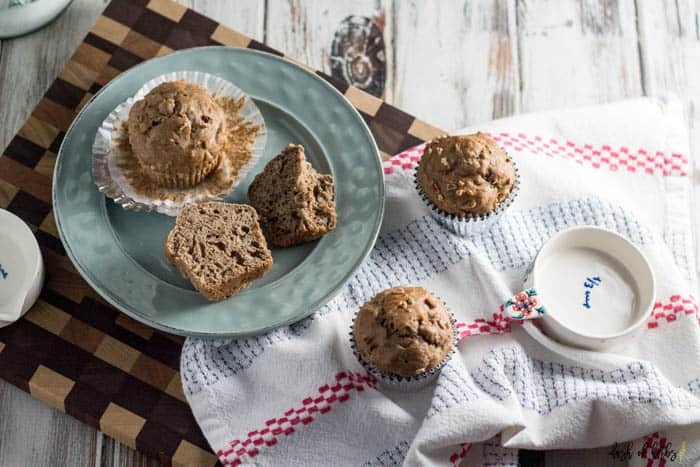 The bananas are a wonderful addition to these muffins without being too “banana-tasting”. 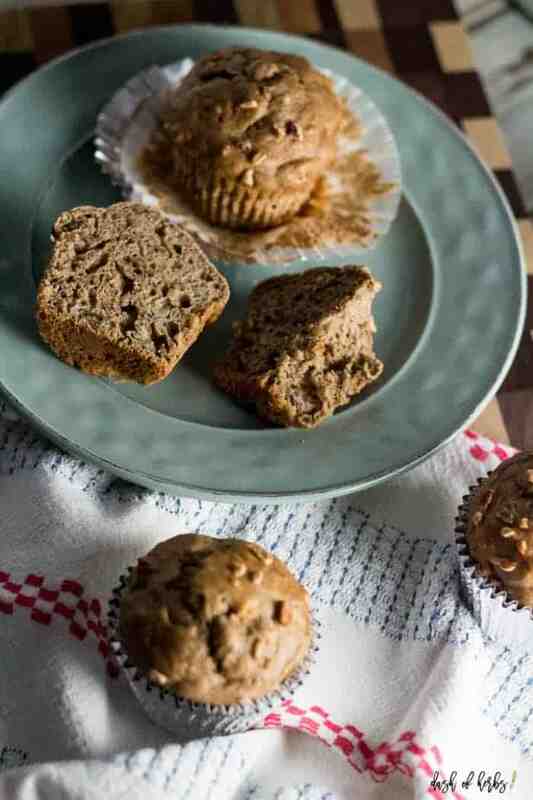 And the nuts gave these muffins just enough crunch. The lemon zest brings out a freshness that you don’t typically taste in a breakfast muffin. 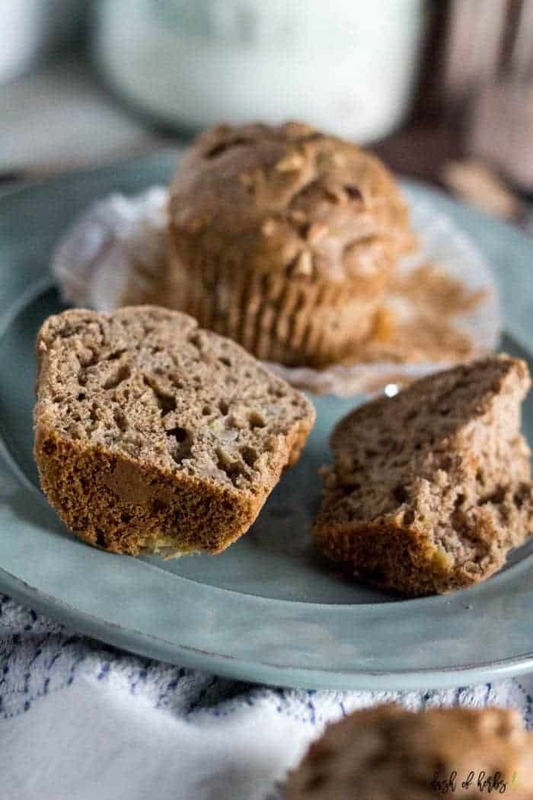 It’s a really wonderful addition to these muffins. Preheat the oven to 325 degrees and line a muffin pan with 12 paper liners. In a large bowl, mix together the all-purpose flour, baking powder, baking soda, cinnamon and salt. In a medium sized bowl, mash the bananas. In a small bowl, mix together the eggs, butter, honey, apple cider vinegar, and lemon zest. Stir in the bananas and lightly fold in the wet ingredients into the dry ingredients until just combined. Fold in the chopped pecans. Divide the batter among the muffin liners, filling them up. Place in the oven and bake for about 45-50 minutes, or until a toothpick comes out clean. Let the muffins sit for about 5 minutes, and then serve immediately. 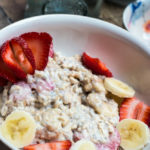 What are some of your favorite breakfast meals? This recipe is 4 Freestyle points per serving, 1 muffin. Yes! The banana helps to make these moist and the lemon zest adds just a hint of flavor. I loved these muffins! 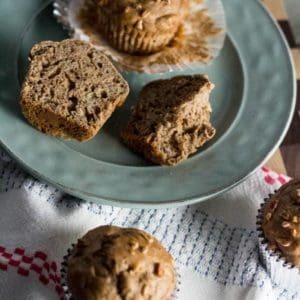 I like to have muffins for breakfast and these are wonderful with the banana flavor and that kick from the lemon zest! The Easiest Guacamole Recipe – Ever!